The site will send you e-mail updates on the daily deals in your city. Purchase the deal at the discounted price. Most of the time, these deals will be at least 30% off the original price. If you are very lucky, you may find a deal as much as 90% off! Once enough people purchase the deal, it is activated (tipped) and you will receive your discount. If the minimum number of deals is not purchased, however, the deal is cancelled and no one gets it. Fortunately, almost all deals on Groupon are claimed due to a large membership base and a low minimum number of users required to purchase the deal and trigger a tip. Once you receive your deal you can claim it at the store you got it for, usually within a period of time before it expires. The website will also give you all the details about the Groupon you have purchased. Saving money is a great thing to do nowadays, especially with the current state of the economy. Websites such as Groupon will help you to save time and money. Instead of shuffling through newspapers to cut out coupons, you can just print them at your convenience. Watch what you spend your money on; don’t just throw cash away. The best souvenir is a picture, so bring a camera (they’re built into most mobile phones nowadays) and take lots of them instead of buying silly knick-knacks you can pick up in the hotel lobby. You can also collect “free souvenirs” like match boxes from hotels and restaurants, room key cards, or ticket stubs. 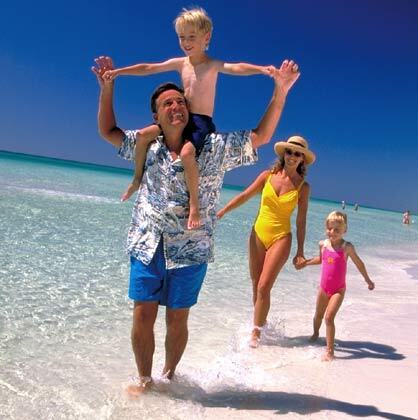 Instead of paying loads of money at an amusement park, go sit pool side at the hotel or go to the beach. Quality time there is not just free, it is fun! Have budgets for hotel rooms, activities, and food. Don’t overspend! Make sure your trip is planned out well in advance to ensure that you know what you and your wallet are getting into. Vacations are a great way to recharge your batteries, but spending money can be difficult to do this summer. Plan out your vacation right and budget your trip so that you can avoid spending traps. Remember to have a fun, stress-free time! You do not have to spend as much money to have fun as you think. After I watched the video clip, “Groupon, LivingSocial ‘deal of the day’ pros and cons“, which concerned the most recent version of buyer’s remorse on CBS’ “The Early Show” this morning, I searched for articles and blogs about “Groupon Remorse”. Apparently, Time.com has found consumers “who completely went overboard and are swimming in coupons they’ll never use”. Hybrid vehicles are vehicles that have two or more power sources in the drivetrain. The three types of drivetrains are parallel hybrid, series hybrid, and power-split or series-parallel hybrid. Parallel hybrid systems have an internal combustion engine and an electric motor connected to the mechanical transmission. The Honda Insight is a parallel hybrid; its engine is more mechanically complex than a series hybrid engine. Modern series hybrids have electric traction only, combustion engine, a generator, a battery bank, and a regenerative braking. The Chevrolet Volt is an example of a plug-in series hybrid. The power-split or series-parallel hybrid has power-split devices, allowing for power paths from the engine to the wheel that can be either mechanical or technical. 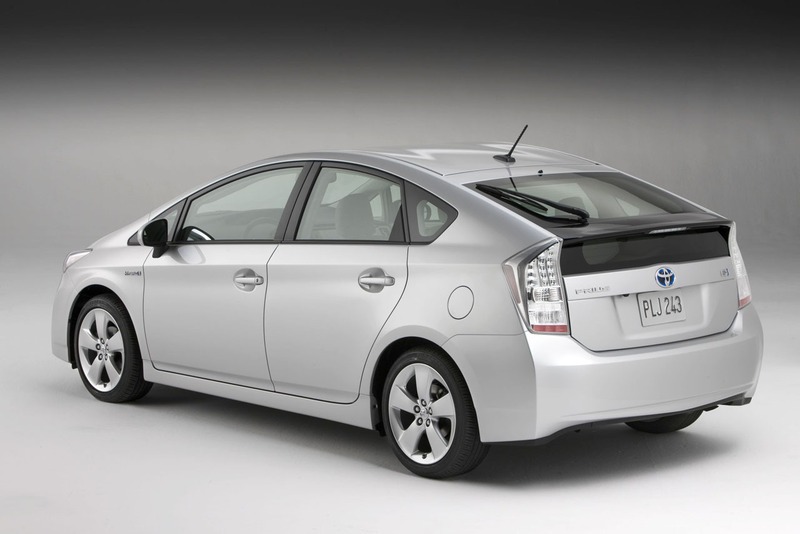 The popular Toyota Prius is an example of a power-split or series parallel hybrid. Whether the vehicle is a full hybrid, mild hybrid, or a plug-in hybrid, they are all fuel efficient cars that better our planet. The most popular type is the full hybrid, such as the Prius, because you don’t have to worry about finding a recharging station to plug in your car. Gas prices are on the rise in California and with all the commuting that is done, hybrid cars are a great economic and environmental choice. Walking, riding a bike, or skateboarding to school, a grocery store, a friend’s house, or just about anywhere within your town not only saves you gas money, but it helps the environment and is great exercise. Taking the bus or train to commute to work is much cheaper than gas, especially if you buy a bus or train pass. Carpooling is a great way to help other people save money on gas and helps the environment. For those who can’t carpool or take the train or bus to work, driving a smaller car with good gas mileage will work, too. All of these tips work for many people. Working close to home is great for me because I can take the bus, skateboard, or walk. Being fuel efficient is a very important thing to do these days. Not only is gas becoming expensive, but its emissions continue to ruin our environment. 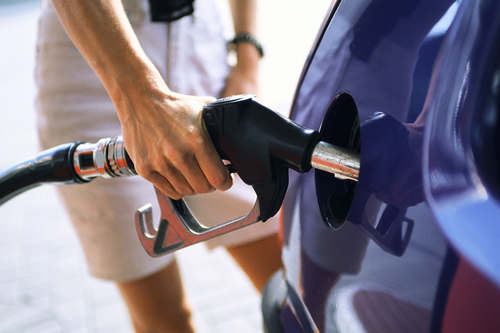 Do your part and reduce your fuel consumption. It is very simple and you can even get good exercise from it! If yes, can I afford to pay for it with cash? If so, do I already own an equivalent item? If I don’t own any such item, have I shopped around for the lowest priced item? If you have a satisfactory answer for all questions, give yourself another 24 hours before making the purchase. You may end up not making the purchase at all and, thus, save yourself some money. 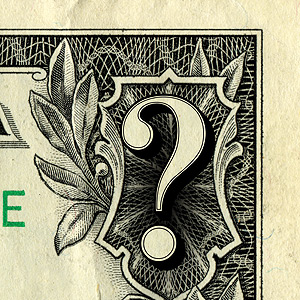 Try asking yourself these questions on your next shopping trip. The more you can prevent instances of impulse shopping, the more money you will find in your wallet over time. Gather your inventory. If you haven’t used it, worn it, or it has sat in an obscure corner of your living room or closet for over a year, it becomes inventory. Don’t give the item a second look; you didn’t give it a second look in a long time, anyway. Do your homework. No price gouging! Visit a yard sale or two (or more) and do price comparisons. Furthermore, depending on where you live, you may need a permit. Know the rules! Set the date. Don’t overlook this detail. Setting a date for the yard sale forces you to manage your time more effectively; you will not decide halfheartedly to do a yard sale “sometime in the spring”. Advertise! Post BIG signs at the entrances of your neighborhood. Set up a Facebook Fan Page. Tweet about the yard sale. Just get the word out! The more foot traffic you can direct (or divert) to your yard sale, the more successful it will be. Prep and price. 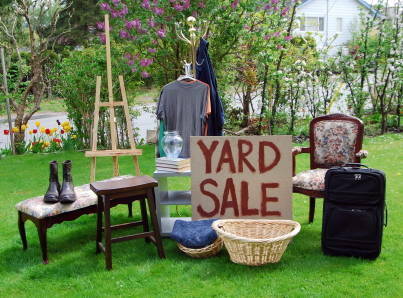 In order to save yourself a lot of time and energy during the yard sale, price every item you intend to sell. Use masking tape or adhesive stickers. Bundling will give shoppers added value. Selling a dozen candlesticks for $10 will go faster than selling each candlestick for $1. Setup shop. Use your front yard, driveway, or garage. Make sure that would-be shoppers can see the yard sale from the road. Set up your wares on foldout tables, plywood, or old rubs. Use a money-box or even a muffin tray if you are going to make change. Keep a watchful eye over your inventory. Sell, sell, sell! Just don’t sit there waiting for the customers to come to you. Walk around, interact with the customers, and talk to them. Share lots of information about the items. The more information you give them, the less questions they will ask. Offer free coffee and sell donuts. If they’re eating, they’re staying–and if they’re staying, they’re buying, right? Following the sale. Box the unsold inventory and donate them to charity. Go around the neighborhood and remove all the signs you put up. Send a thank-you Tweet on Twitter for peoples’ participation. And finally, take out the family to well-earned dinner.